You guys know how I love the ProMarkers and I highly endorse them. I do this because I do use them and feel they are easy to use and the price is so much cheaper than other alcohol markers. 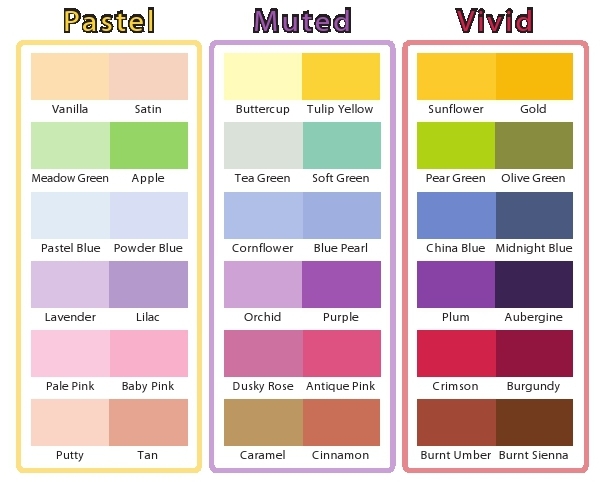 If you guys are thinking about the markers but are afraid due to thinking you can't match colors to blend then let me give you a little information that might take the fear away. 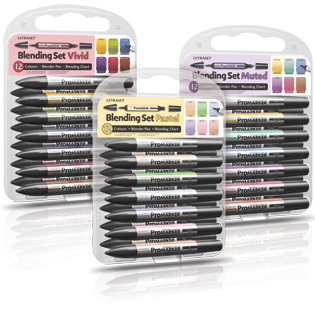 Letraset is releasing sets of ProMarkers that are "Blending Sets". The sets are available in Pastel, Vivid and Muted color selections. They also contain a free Blender Pen and Blending Chart that will show recommended color combination's and "pairs" for each set. I think this is a fabulous idea and I know I am looking forward to finding out the colors that blend well together because I have a hard time deciding what colors to put together at times. I can't wait to see how much easier it will be to color now that I have some wonderful guidance! Today we will be going to San Juan Puerto Rico for the evening. I can't wait to see some of the sites. My BFF Karen has checked into some things for us to do but she and I are kind of go with the flow and change our minds and swim up stream kinda people so there is no telling what we will end up doing! Thanks for the information Okie! and continue to have fun! I am going to have to try these markers. Hope you are having fun and enjoying the cruise. I am in the market for some "intro" markers. Do you happen to know how long it will be before these are available? Thanks for the info. Have fun in San Juan,PR. I was there a few years ago and loved it. I loved all the old buildings. It was beautiful. Thanks for sharing this Okie!! I hope you love San Juan as much as I do!! I so miss walking through those cobblestone streets! luv the muted set....what is the dollar price for these sets?? ?